Online shopping is getting much more popular day by day because of the internet. Today most of the people of the developed country buy their products from eCommerce online stores. So, everyone who has something to sell, he/she is rushing to build their online stores. 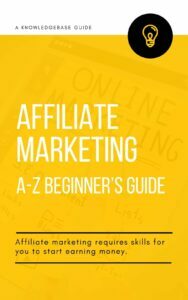 However, someone is building an online drop-ship affiliate website to sell other store’s product through their own eCommerce website. If you’re one of them and want to build your own online shop easily and quickly implementing your secret ideas. 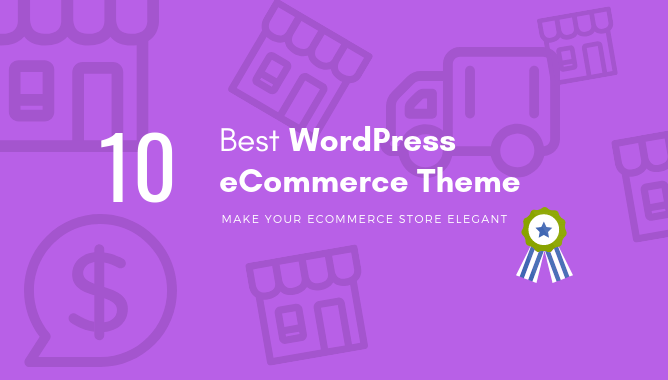 Here, we’ve got the solution for you – the best WordPress eCommerce themes for WooCommerce. So, you can create a completely professional, elegant WooCommerce online shop easily and quickly without any serious skill or coding. However, you can hire an eCommerce website developer to do that if you want. Flatsome is the best WordPress eCommerce theme not only for your online shop but also for almost all types of websites. Packed with all the essential tools you need to build a WooCommerce/eCommerce website which will be super fast and responsive at the same time. Shopkeeper is one of the best fully responsive premium WordPress eCommerce theme with amazing product page layouts, product image galleries, advanced theme options, and much more. Porto is our third pick on this list, a responsive WordPress WooCommerce theme that’s extremely easy to set up & use, suitable for all types of websites including business, blog, portfolio and eCommerce websites. The Retailer is one of the top WooCommerce themes that perfectly suitable for creating any kind of eCommerce store to sell any type of product – shippable or downloadable products. Xstore is an elegant and intuitive WordPress eCommerce theme that’s carefully developed keeping the design and performance in mind. It includes ready to use eCommerce templates, pre-designed PSD files, powerful features, tools, and settings. Neighborhood is a fully responsive, twitter bootstrap-based, retina ready grocery store WordPress theme. It’s packed with the most powerful and advanced swift framework that lets you create a neat & clean, modern, slick designed professional WooCommerce online shop so easily. Atelier is a kind of WordPress eCommerce theme like no other, packed with 14+ ready to use high-quality eCommerce demo templates, swift page builder, and a bunch of unrivaled features & options. Mr. Tailor is another premium WordPress eCommerce theme that especially suitable for small business owners to create their online store to sell their products. Royal is another easy to use multi-purpose WordPress eCommerce theme that comes with everything that you need to create a professional, highly versatile, elegant WooCommerce website. WoodMart responsive WooCommerce WordPress theme is our last pick on this list that’s designed from the scratch for creating supreme WooCommerce online shops of any kind. There are many people who have their products and ideas to sell their products online, but they don’t have the knowledge of how to create a website. So, considering this fact these eCommerce themes we’ve listed to help them to easily and quickly create their online WooCommerce based eCommerce website to let the world know about their products without any special skill or coding. However, we’ve not tested all of the themes above but we’ve done a powerful research based on users feedback for each theme. They are all good, and you can choose any of them that suits the idea of your own online shop. Overall, these are the best eCommerce themes for WooCommerce. Hope, you’ve found the right eCommerce theme from the list above to transform your ideas into a beautiful WooCommerce online shop to sell your products right away. Anything if you’ve in mind, simply let us know through commenting or contact us for further information. We’ll love to assist you!